"The USA preparation was virtually non-existent and the emphasis on accuracy rather negates their bombers. 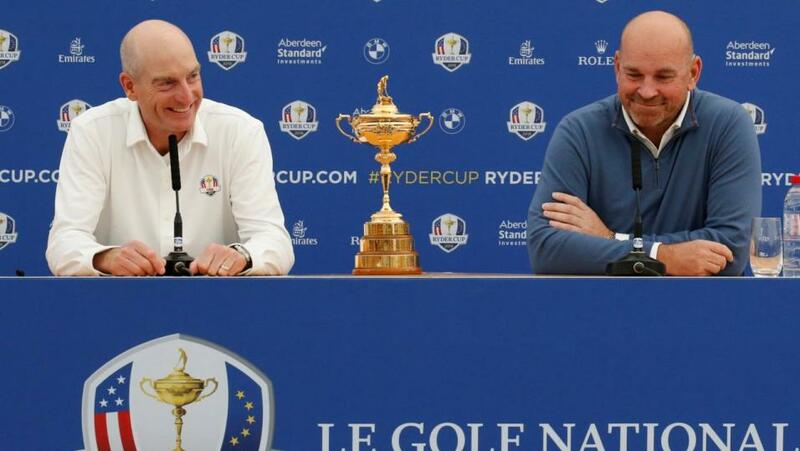 There's often a sense that the Ryder Cup is a secondary goal...and I wonder how pumped they'll be if falling further behind." With one of their greatest ever sessions, Team Europe bounced back from a terrible start to take the opening day honours. Having trailed 3-0 early, they now lead 5-3. All four afternoon foursomes matches were won with ease, by a remarkable aggregate of 17 holes. They are now just [1.7] to win the match and regain the trophy, down from a peak of [4.0]. Here's the line-up for Saturday morning's fourballs - click through for live betting on each individual match. On Friday when tipping Europe at [3.15], I stressed how momentum invariably shifts in these matches. So does that make this a good time to back the USA? Well, if you fancy them, absolutely. However on the evidence so far and after looking through the morning pairings, I'm feeling confident and, if anything, rate the hosts slightly better value on the outright markets. There is no question which captain is doing a better job. Jim Furyk has made some odd selections, breaking up successful partnerships from previous events and bizarrely saving Phil Mickelson and Bubba Watson for foursomes, when both are clearly better suited to better ball. I doubt either will play again before the singles. Contrast that with Thomas Bjorn's shrewd timing in introducing his experienced foursome specialists Poulter, Garcia and Stenson. Nor does Le Golf National look ideal for this heavyweight US line-up. Their preparation was virtually non-existent and the emphasis on accuracy rather negates their bombers. There's often a sense that the Ryder Cup is a secondary goal compared to the main summer prizes for American golfers and, coming only a few days since their tough season ended, I wonder how pumped they'll be if falling further behind. At this stage, Europe look good value on the correct score market to win easily. A combination of 16.5-11.5, 17-11 and anything better pays around [4.2]. That would require them to win 11.5-8.5 from here - perfectly plausible, especially if USA don't massively improve at foursomes. Singles, away from home and chasing, is never easy. Regarding the morning matches, I don't have a particularly confident view about any of them, because there is no obviously weak grouping. In the first, McIlroy/Garcia look formidable after this afternoon's heroics and would be marginally preferred but Koepka/Finau won a good point in the morning too. Casey/Hatton could represent a bit of value at [2.9] to beat Johnson/Fowler. They were a little unlucky to lose their match, having clawed back a three-hole deficit. Fleetwood/Molinari are on fire but are hard to justify backing as clear favourites against Tiger and Ryder Cup specialist Reed. If the USA are to fightback, expect them to lead it. Finally whilst I love the Spieth/Thomas combo in better ball, [2.0] is plenty short enough against any pairing involving Poulter. When lacking a strong view in 18-hole matchplay, the Tie is always an attractive option, especially as a back-to-lay. They are commonplace in 18-hole matchplay yet we haven't seen one yet. Available around [7.0] at the start, these odds can easily shorten below [3.0] if the teams are no more than one hole apart reaching the last few holes. The morning plan, therefore, is to try a back-to-lay on all four matches. Back each tie for two units, then place four unit lay orders on each at [2.5]. By hitting the target, we would double our money on the trade, whilst leaving an extra four units profit on the tie. If any one of these four matches finishes in a tie, the entire stake will be covered.